We have our fingers firmly on the spa pulse here at The Good Spa Guide, and we love nothing better than bringing you the latest spa news from around the UK. Our gorgeous friends at Elemis are once again taking their spa bus on tour to a spa near you. 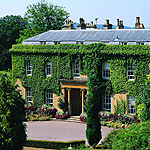 Next on the list is the Halcyon Spa at Bishopstrow House, Warminster, which will be visited by the Spa Bus between 10am and 4pm on 28 June 2011. The Elemis "Treatments on Tour" bus offers fantastic mini-treatments administered by the Elemis "Spa Angels" in their surprisingly luxurious and relaxing double decker spa bus. Whilst you relax and get pampered you'll feel extra-good knowing you are helping to raise essential funds for vulnerable children in association with the charity Mothers4Children. Fairmont St Andrews is synonymous with golf and spa, so where better to put the tiger back into your swing with this glorious new stretch treatment? Claiming to lengthen specific muscle groups used in your golf swing, this new treatment is designed to increase mobility around the shoulder and neck area – perfect as a pre-golf warm up! 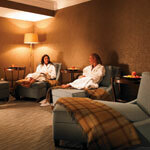 Center Parcs in Elveden Forest, Suffolk will soon be offering accommodation specifically for spa-goers. To blend in with the gorgeous woodland surroundings, the accommodation will feature natural forest tones, large windows, balconies, terraces and feature fireplaces. To find out more contact Center Parcs, Elveden Forest.